Purple's story starts with the company's incorporation in Singapore to service clients like the Marina Mandarin Hotel, the Mandarin Orchard Road the Hotel Istana in Kuala Lumpur. Singapore, 1996. Purple's first clients were the Marina Mandarin and Mandarin Hotels. Purple is an independent strategic brand consultancy. It was set up as the offshoot of a successful UK marketing consultancy that had among its clients Virgin Atlantic Airways, Emirates and Hilton Hotels. Our core area of expertise is in strategy and the holistic integration of all aspects of the branding mix to develop effective and long-lasting brands. We've completed projects for some of Asia's top brands and lots of smaller ones too. It's been a rewarding journey. Our work has taken us into areas such as strategic planning, brand architecture, service design, branded service experiences and brand storytelling. We specialise in getting strategy right before we do anything else. We dig around for those precious insights until we get what we’re looking for and help you to clearly define your Vision, Positioning and Purpose - to give you your Brand Heartbeat. We know how to see strategy through to implementation (something else we are passionate about). NOTE: This also means that when we develop strategy we make sure it will work in practice. You get senior and experienced thinking on your project, no matter how big or small. We work in Asia while retaining an international perspective. We have an alliance with Island Media Management in Indonesia to co-operate on the creative and online dimensions of branding - giving us access to an unparalleled range of expertise - particularly in the online space. In short, with Purple you are in good hands. Jakarta, Indonesia. 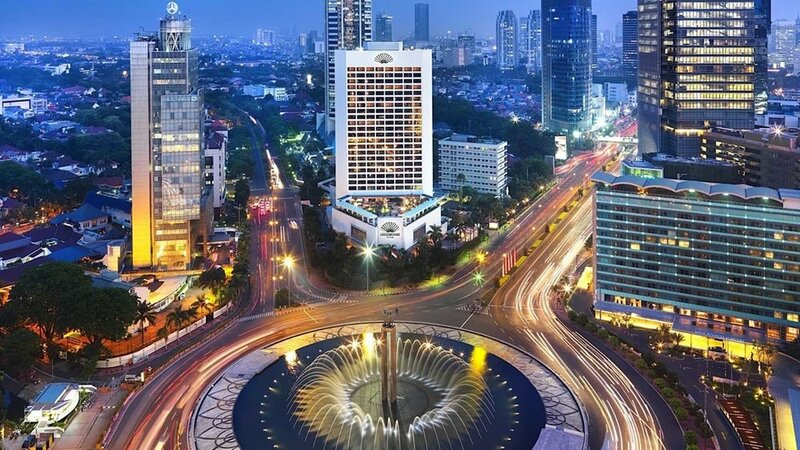 Purple has served clients in Indonesia for twenty years. Mark brings together thinking and techniques from a variety of sources and disciplines developed over his years in consultancy. Qualified and experienced in business strategy, marketing and branding, Mark has worked on projects throughout Asia over the past 20 years. Mark has always had a fascination with great service and has worked with numerous clients to raise their service standards to new levels. He created the Travel Check service quality system which was used by Reed Travel Group to decide the winners of its Airline and Hotel of the Year Awards. ﻿A passionate believer that great strategy is the foundation of what he calls the Brand Heartbeat, Mark is a frequent speaker at brand conferences in Singapore, Malaysia and Indonesia. Purple Strategic Insight Pte Ltd. Singapore and JAKARTA, Indonesia.